Is there a better place to relax and enjoy the ocean breeze? Strawberry Cove, below the house. 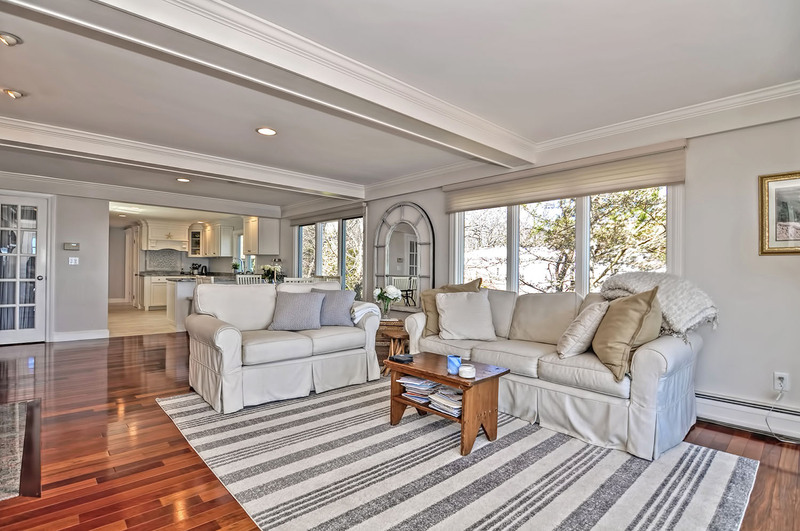 The living room is a large, airy and bright space. 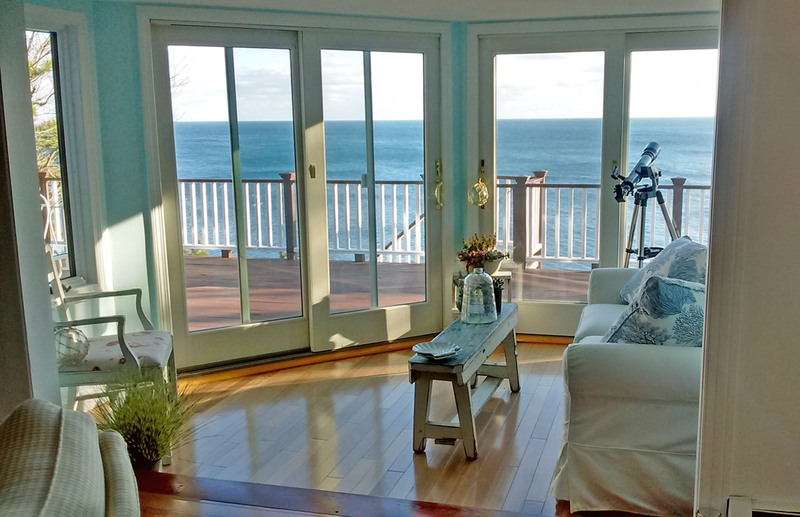 The living room has fantastic unobstructed ocean views. Comfortable seating, a fireplace, and a flat-screen TV. Ocean views from the dining room and living room. Dining table and breakfast bar. The kitchen is open to the large living/dining room. 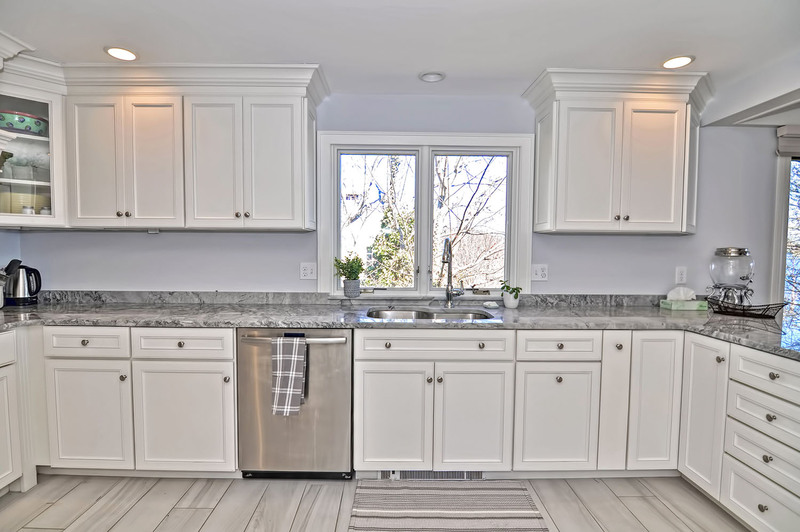 The kitchen was beautifully renovated in 2017. 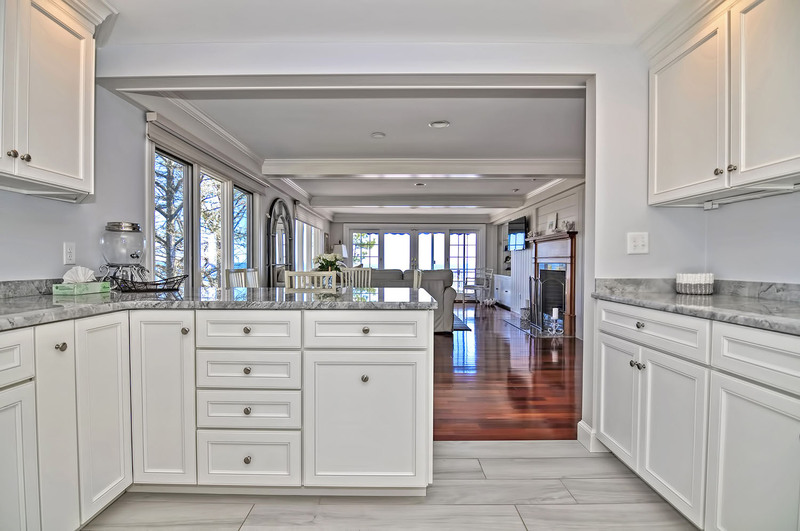 The kitchen was beautifully renovated in 2017. The kitchen's double oven. The laundry room is just off the kitchen. From the kitchen, stairs lead to a large Queen bedroom. Bedroom 1: Queen bedroom with library. Built-in shelves and a sitting area. 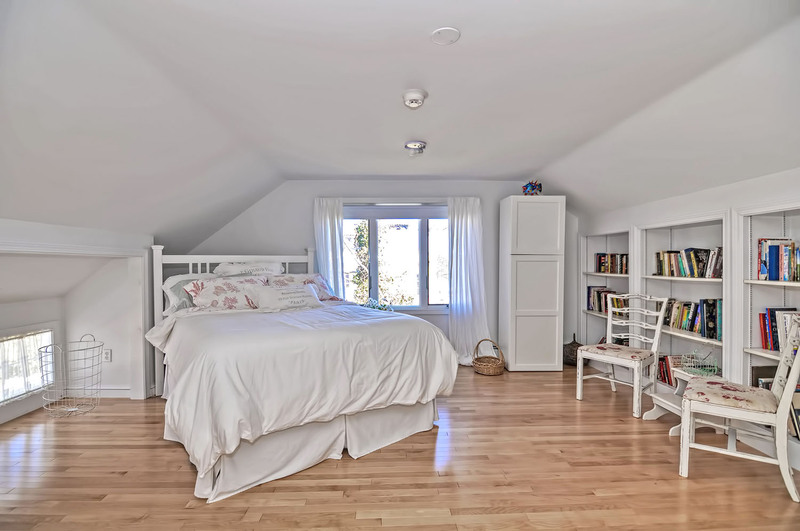 This bedroom lets in lots of natural light. Bedroom 2: The Master suite with a Queen bed and ocean views. The Master bedroom has a glorious ocean view. You will not get tired of this amazing water view! Bedroom 2: The Master bedroom with a Queen bed and ocean views. Master suite full bath. The Master bath. The Master bath has a large soaking tub as well as a stand-up gl Full bath with elegant glass and tile shower, off the main hall. 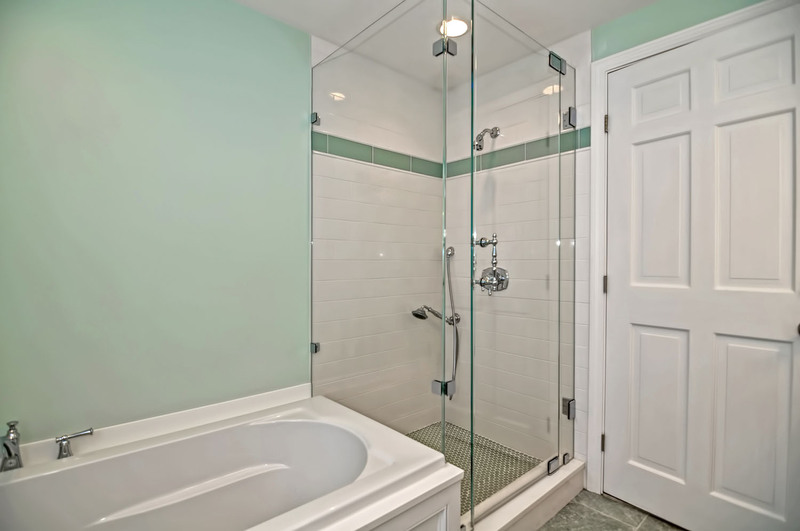 Full bath with elegant glass and tile shower, off the main hall. Bedroom 3: Curl up with a great book in this cozy sitting area. Bedroom 3: A pretty peach Queen bedroom. View from the hall into Bedroom 3 and the hall bath. The front hall, with views into the dining room and parlor. The parlor, with a view towards the front hall. The cozy fireplaced parlor, with the sun room beyond. Built-in bookshelves in the parlor. The back deck can be accessed via the sun room. The sun room has a stunning view. The large oceanview deck spans the length of the house. Views for days. Garden level living area and kitchen. Ocean-themed sitting area in the garden level. Ocean-themed sitting area in the garden level. Sitting area of the apartment on the lower level. The garden level has its own kitchen. Bedroom 4: Queen bedroom in the garden level suite. French doors open from the bedroom out to the garden. 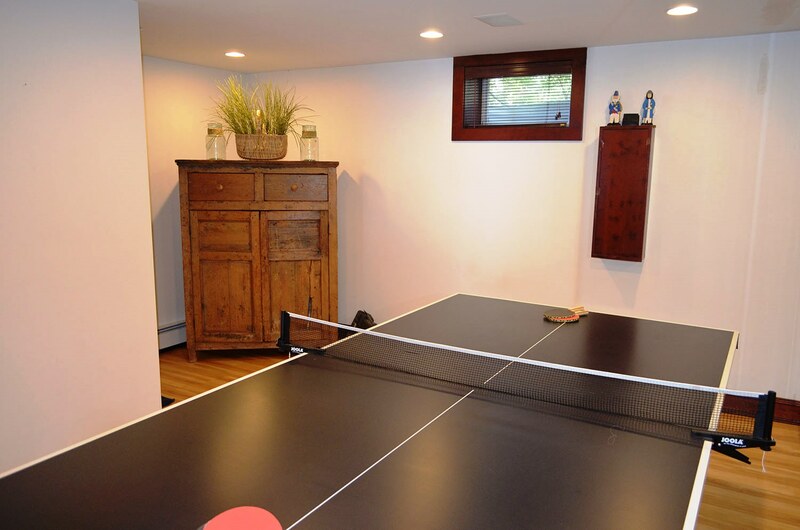 There's a game room in the garden level. Rear exterior of Strawberry Cove House. View of the house and the tiered decks from below. 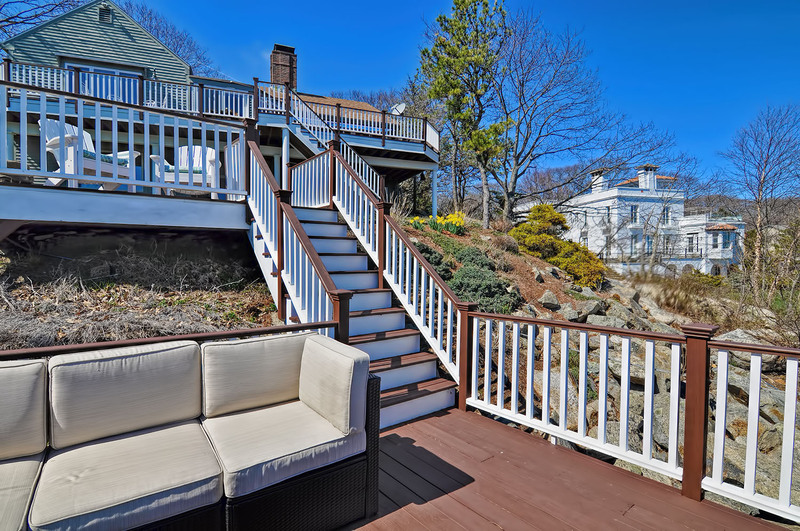 The oceanside deck, with stairs down to the cove. Side view of the oceanside deck. View of the oceanside deck, from above. Upper seating on the tiered oceanside deck. A hammock for relaxing by the sea. 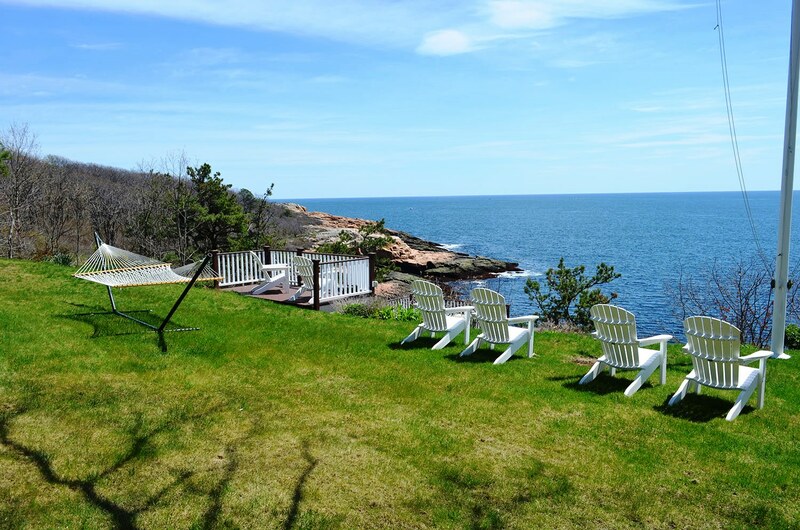 Adirondack chairs on the lawn, overlooking the sea. View of the house from the large lawn. There are many places to choose from when it comes to sitting an The driveway and front walkway. The front door (center) and side door to the kitchen (left). Sunrise from the deck. 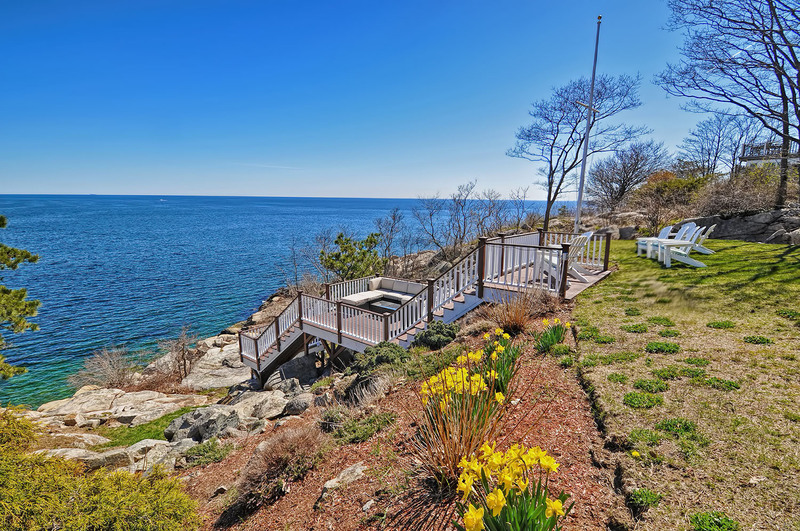 Your family will love this extraordinary waterfront vacation rental home with spectacular views. Set on a bluff over picturesque Strawberry Cove and the open Atlantic, views abound from almost every light-filled room. The house offers three levels of sophisticated, yet comfortable living space. Enter into the spacious foyer and you are immediately impressed by the light and open style that creates the illusion of floating on the ocean. 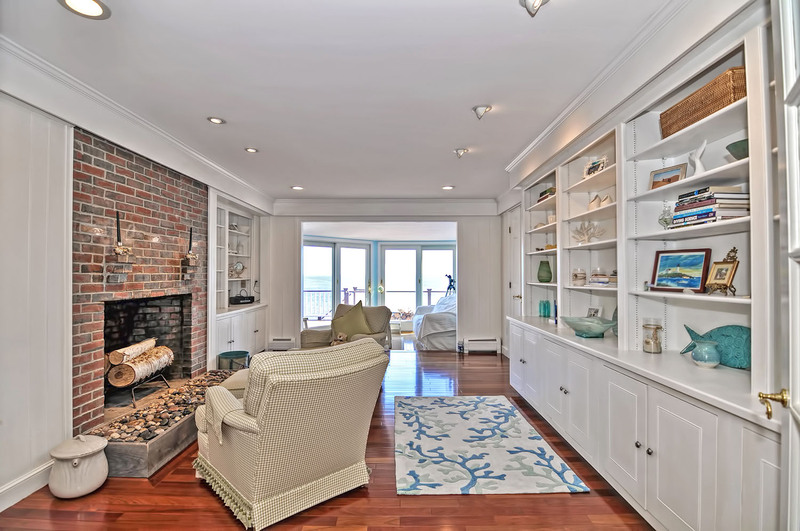 The fireplaced library is a bright yet cozy place to sit and watch the waves with its multiple sitting areas, small office space with desk, and slider to the enormous deck. 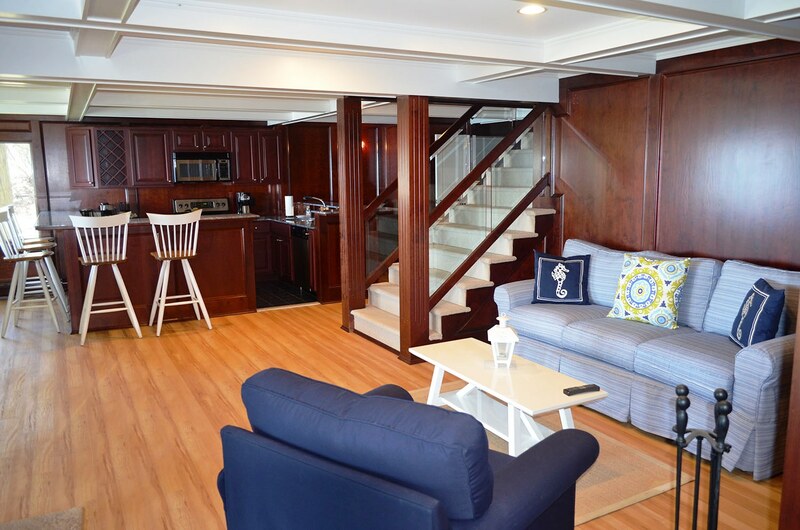 To the left is the living/dining room with sliders to the same deck overlooking the sea, as well as a 48" flat screen and another working fireplace. Also on this level is the separate laundry room. 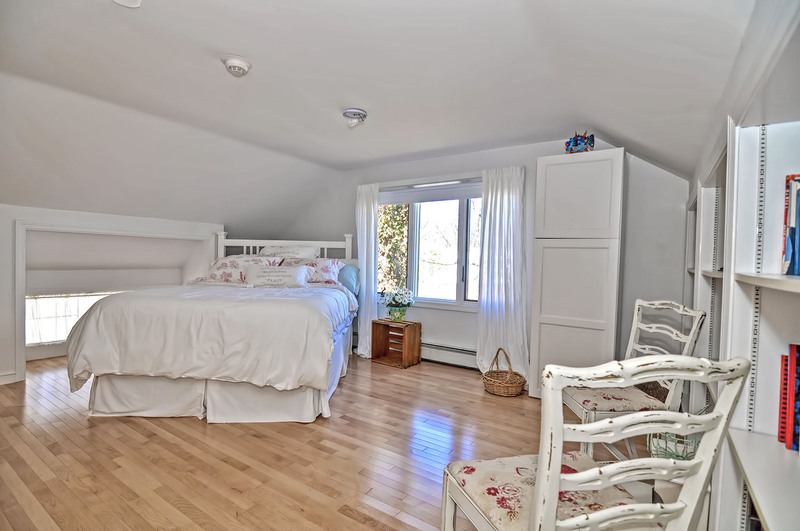 Up a set of steps from this wing is a large and sunny bedroom complete with queen sized bed and an ocean view. On the other side of the library is the wonderful water view queen master suite with air conditioning and a full bath. This suite can be made completely private by closing the outer suite door. Just past the full granite hall bath is the queen guest room, which is also air conditioned. Just when you think that it could not get any better, the lower level offers more fun with another entire fully applianced granite kitchen, complete with an oversized wine cooler, a dining area (or perfect place for games, or puzzles), and living area with another large flatscreen TV, new pullout queen sleeper sofa, a ping pong table room, full bath with a shower and another queen bedroom. The outside of the property is as wonderful as the inside, with a verdant lawn and the amazing multilevel decks built into the bluff overlooking the sea. Walk out of your choice of doors into the yard, where you can enjoy the hammock and the ocean view. 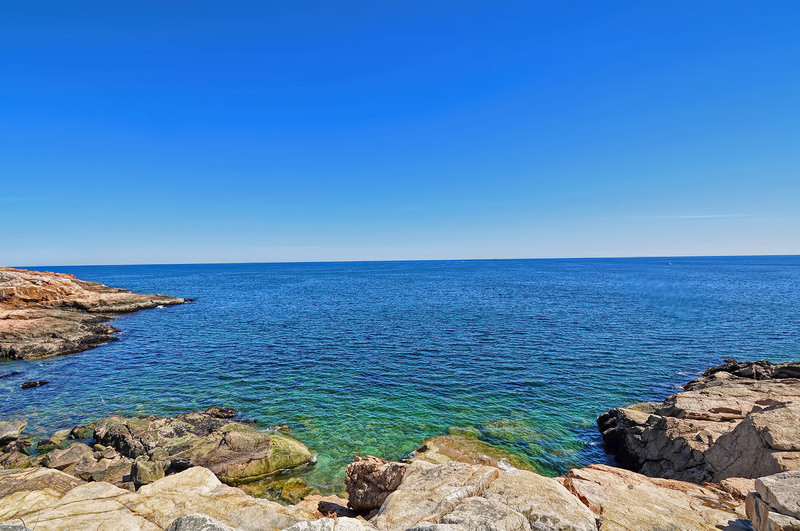 If you would like to immerse yourself, the public beach is just 6/10 of a mile from the house, or you can drive to the larger beaches of Good Harbor Beach and Wingarsheek Beach. The commuter rail is a short drive from the house that will take you to Salem and Boston for the day, in less than an hour. And the wonderful seaside communities of Rockport, Manchester and Essex are a short drive. Come and enjoy this wonderful waterfront experience this summer! One of our best vacations, ever! Great stay overall. Parking is a bit of a problem and the young adults were disappointed that the hot tub was out of order, but the accommodations and setting were spectacular!! Had a problem with one of the door locks and AVH promptly and cheerfully fixed it.. Would go back in a heartbeat! So glad you enjoyed your stay. The hot tub was not included in the rental. Hopefully, there will be one when you come back! Our family (seven of us) were there for the week and we had a wonderful, relaxing time. Plenty of things to do if you wanted to, but very relaxing if you just wanted to stay at the house and enjoy the view. Very nice place, overall! Recommend you tell renters to NOT look at either your map or google maps. IT IS WRONG. I think your written directions were fine but everyone uses that google map. (our fault) If we hadn't called and had Carol talk us to the place we may never have found it though we were next door, the road does not go through. Also not many lamps, say master bedroom, had 100% light or none at all. Same re LR. The plastic cover under sheets in lower level BR was not comfortable , we didn't want to take it off but not good for sleeping . The goodie bag card was there but no goodie bag. :-) that's ok. Otherwise the place was great, wonderful views and very clean. We really enjoyed our stay. Beautiful home.